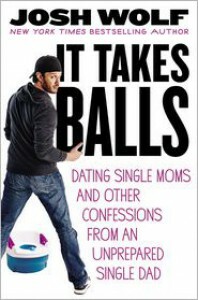 I got to see Josh Wolf perform when I bought this book and it was one of the funniest comedy nights I've been to. He is so funny plus being the last show in Portland, late night, on 4-20...things got weird. Real weird in the best possible way. The book is funny and a nice quick read. It was a lot of kid stories which considering I only have a cat, I didn't find as funny as parents probably would but I still enjoyed it.